I’m usually not much of a nature boy, saving the passion of the outdoors for my forester brother. 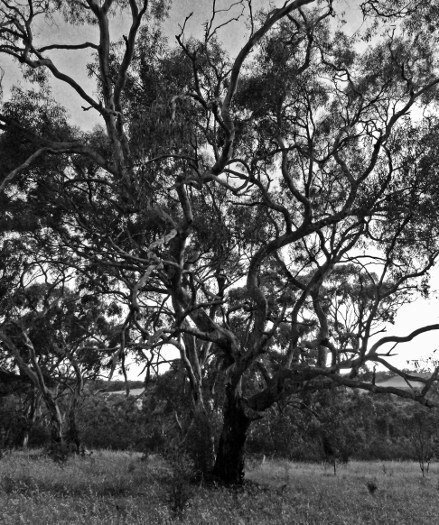 But in the Southern Hemisphere I couldn’t help take pictures of trees that are really different from the ones at home. 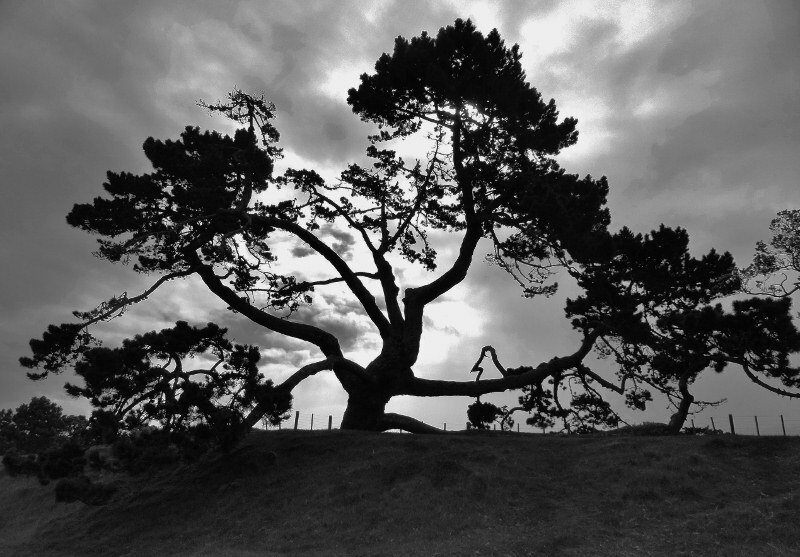 The tree picture above is planted near One Tree Hill in Auckland, New Zealand, the site made famous in the U2 song. 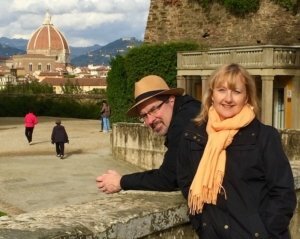 Ironically, the actual One Tree Hill is treeless due to a dispute between the native Maori and the later arriving Kiwis about what type of tree should be planted there, a native one or a colonizing intruder. 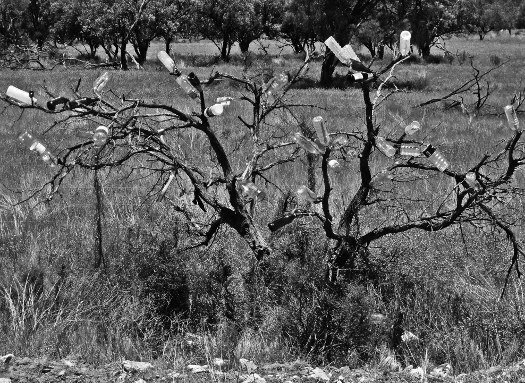 Alongside the road in the Australian Outback people place bottles on this tree, probably to relieve boredom. 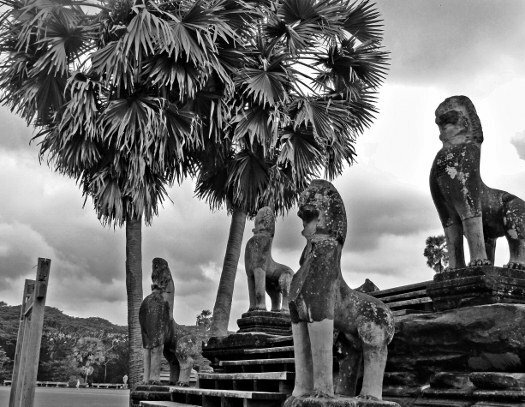 These trees at Angkor Wat reminded us of heart-shaped lollipops. 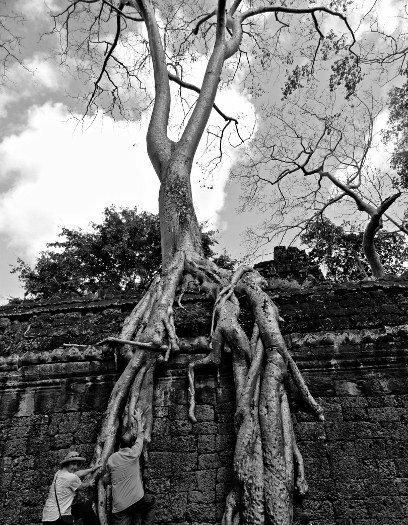 We try to make like Lara Croft and climb this tree at the Ta Prohm temple. 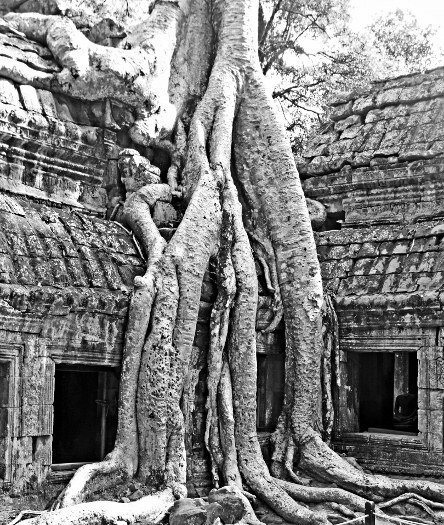 At the Ta Prohm temple at Angkor Wat the trees have sort of taken over. 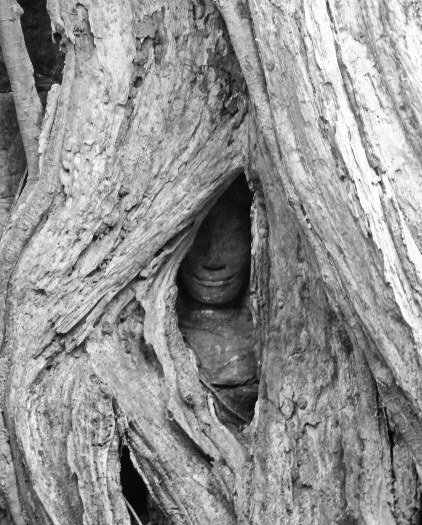 The only remaining Buddha statue face at Ta Prohm barely peeks through an overgrown trunk. 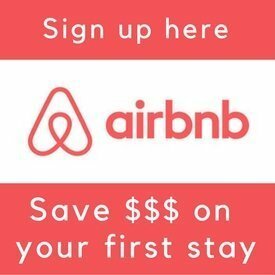 The Buddha statue pictured above is the only one at the Ta Prohm temple of Angkor Wat that still has its head. 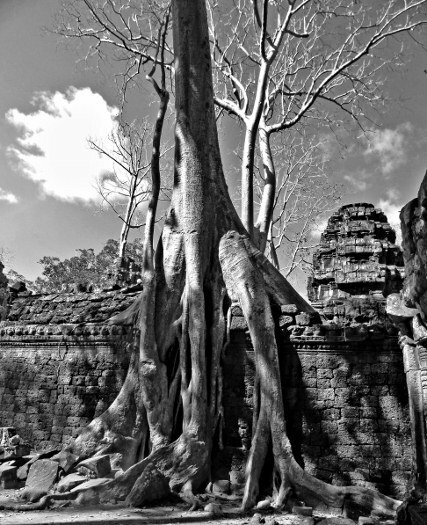 Through decades of political turmoil and strife, including most recently the Khmer Rouge regime, the tree has protected the little Buddha. Imagine planting this tree next to your house? 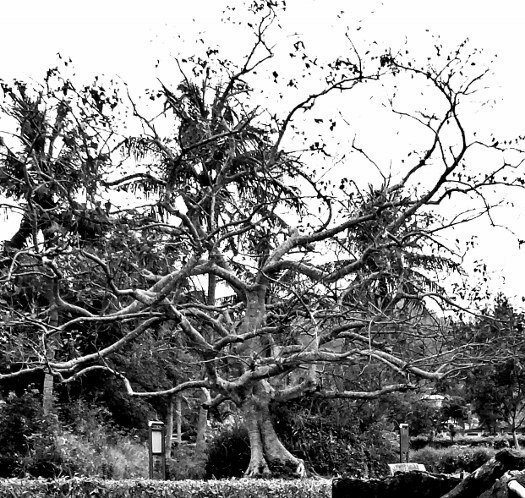 This tangled tree at My Lai reflects the area's tortured history. 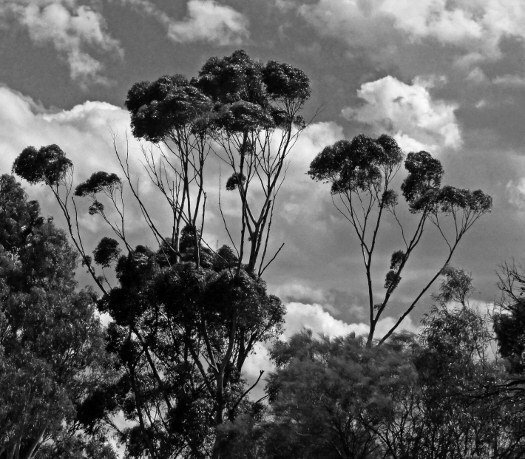 Wispy branches reach for the sky in Australia. 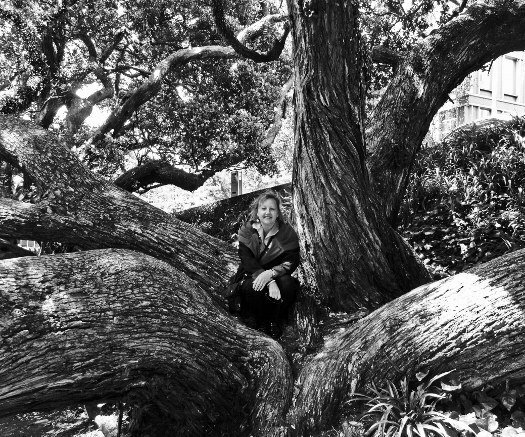 The trees in Auckland are huge and gnarly. Larissa makes like a Keebler elf in this one. Thailand suffered from huge floods last year. 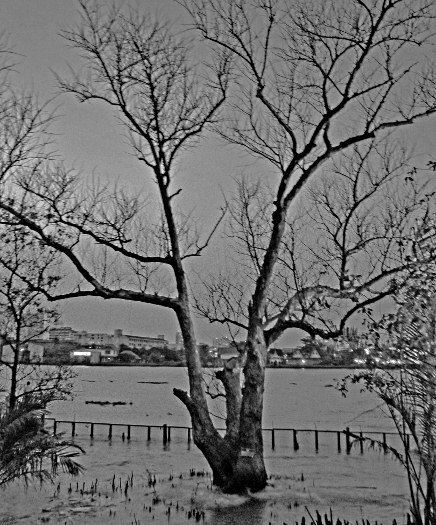 This tree soaking in the Chao Phraya River in Bangkok shows the waters have not fully receded. 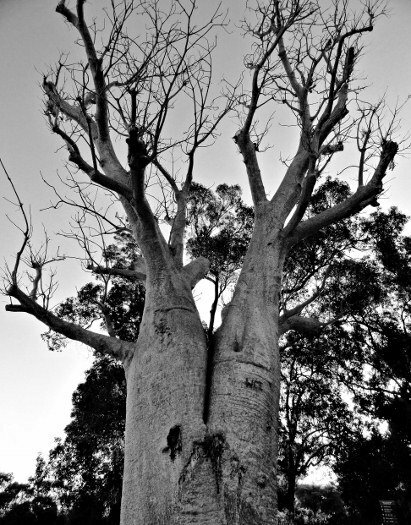 A 750-year old Boab in Perth, Australia. Sunset filtering through branches in the Clare Valley of Australia. This is our very first black-and-white photo essay. We’re curious, what do you think about it?